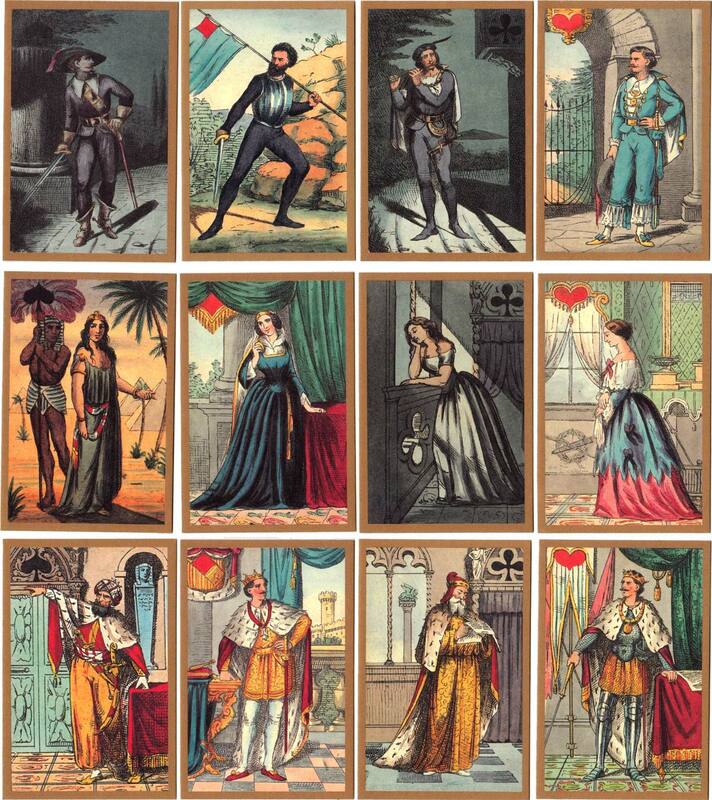 Transformation playing cards designed by Adolfo Matarelli (1832-1877) and originally published by Lit. G. Payer, Florence, c.1860 with the title “Album”. Matarelli was a well known caricaturist who first illustrated Carlo Collodi's famous Pinocchio story. 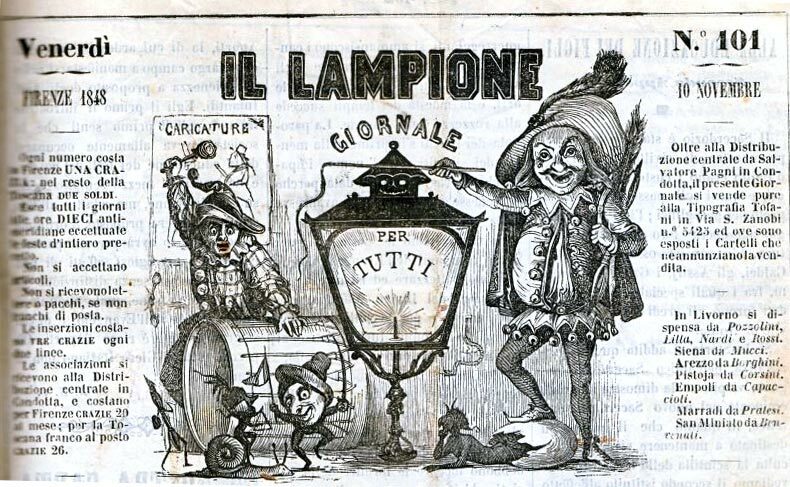 He was also a collaborator in the satirical magazine Il Lampione, founded by Collodi. 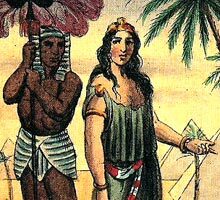 The images in the intricately designed transformed playing cards are supposed to be street scenes, but are often allegorical or symbolic, suggesting a moral or political innuendo and resulting in a visually pleasing and intriguing transformation deck. The 12 court figures are all standing in front of a background scene which enhances the sense of drama. 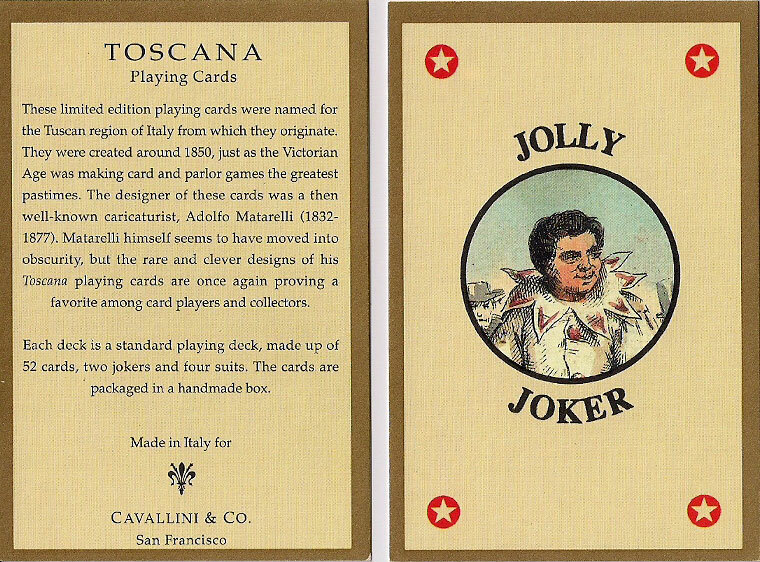 Above: 52-card deck of transformation playing cards designed by Adolfo Matarelli (1832-1877), reissued here as a facsimile edition named 'Toscana playing cards' published by Cavallini & Co., San Francisco. The set is presented in a handmade box accompanied by a Jolly Joker and information card. The original pack was printed in two versions: 52 cards and 40 cards. Images courtesy Rex Pitts. 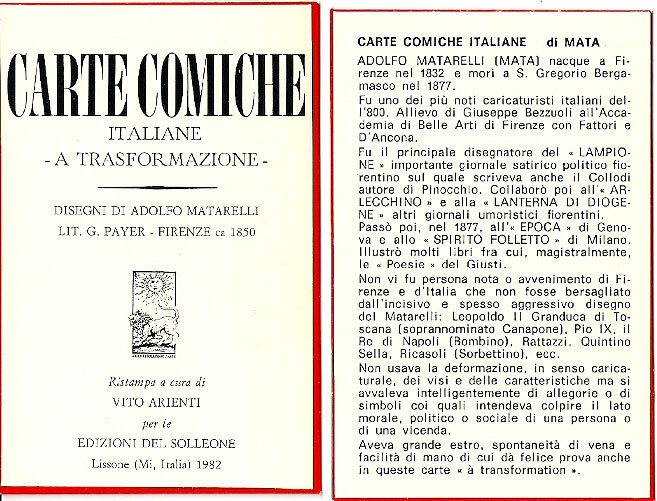 Above: the same cards in an uncoloured version reissued in a facsimile edition named 'Carte Comiche' published by Vito Arienti, Edizioni del Solleone, Lissone, 1982. The edition includes a title card and an information card. images courtesy of Rod Starling, author of "The Art and Pleasures of Playing Cards".